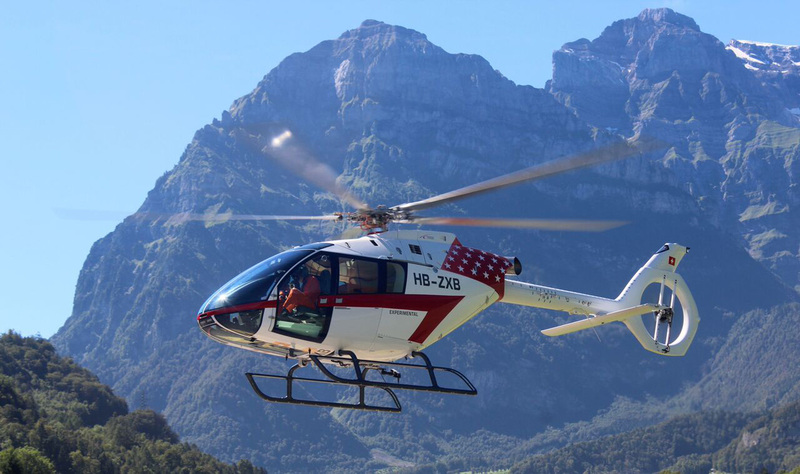 Marenco Swisshelicopter will bring its second flying SH09 prototype (P2) to Heli-Expo next month in Las Vegas, where it plans to announce new orders for its light single-turbine helicopter during the show and provide an update on the flight-test program. A follow-on aircraft (P3) is currently undergoing preparations before continuation of the flight-test program. This helicopter and pre-series aircraft PS04 will jointly serve to obtain EASA certification and soon thereafter FAA validation, the company said. Deliveries of the SH09 are expected to begin next year. Over the past year, Swisshelicopter added 112 employees—including several new senior executives, bringing its workforce to 250—and moved into a new headquarters building in Wetzikon near Zurich. The new space features a helicopter showroom that is the current home to the first prototype SH09 as well as to the company's engineering, sales and marketing, customer support, procurement, and corporate teams. On February 1, the company plans to announce a major rebranding effort and a new company name.